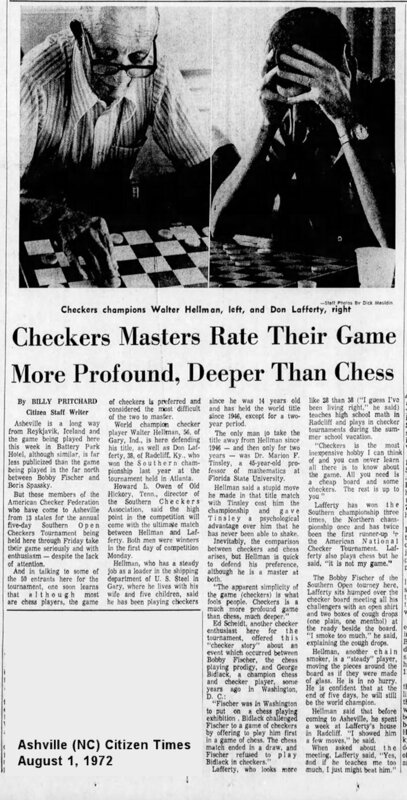 This page is a companion page to "Gary and Miller's Checker Experts - Walter Hellman and Rex Wood"
While there were a great number of articles in the papers about the checkers touraments, perhaps none was more covered than the 1972 US National tournament in Memphis. This is perhaps because it was also the year Bobby Fischer defeated Boris Spassky for the World Chess Championship, perhaps the most famous chess match in history. 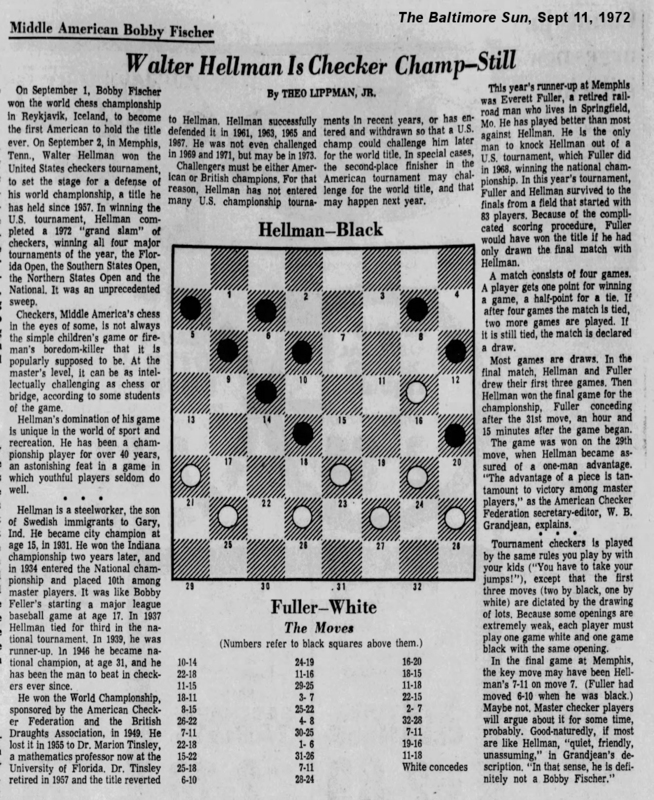 Below is a smattering of the articles on the 1972 checkers tournament in which Hellman won the title - the final win in his "Grand Slam", which included four major American tournaments. 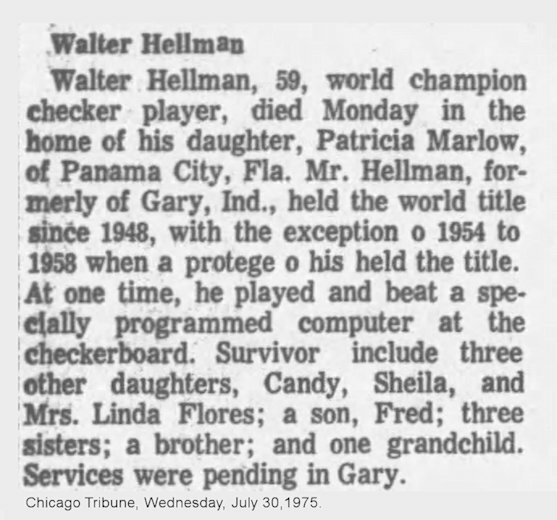 Walter's 1975 obituary in the Chicago Tribune. The image to the right is a full page from the February 18, 1962 Tampa Tribune. It may be too big to view even by clicking on it, but is downloadable with this link: Download the whole page. Or, view it in a new window: by clicking here. Hint: once open in a new window it may still be too small. In Chrome and IE you should be able to click it to magnify it VERY big. 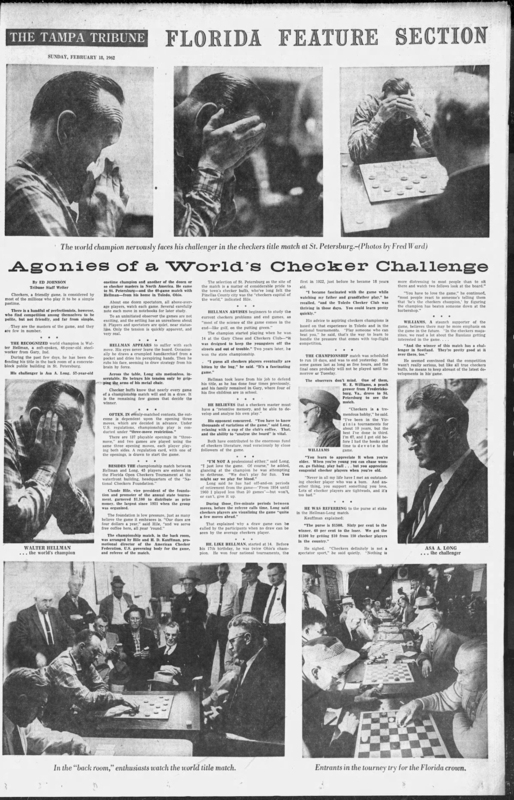 The article highlighs the 1962 World Championship match between Walter Hellman and Asa Long and the 'agonies' they endured. Walter won the match 2-2-36 draws to retain his title. 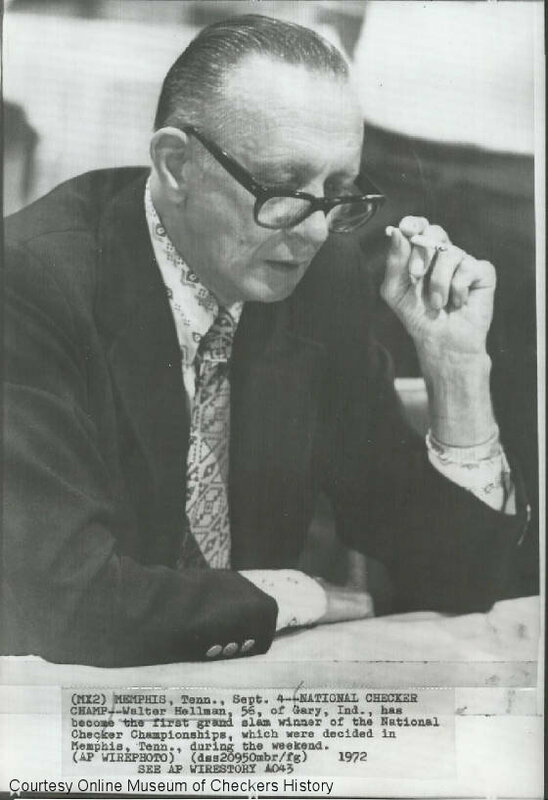 Rex Wood was not without his press coverage. Although not the tournament player that his colleague was, Rex still made the news. 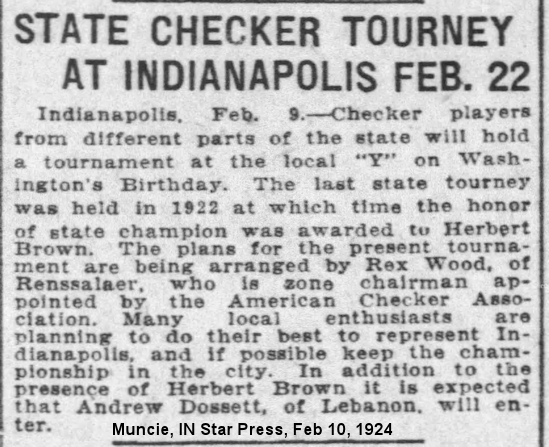 Checkers, checker tournaments, state and local associations are alive and well. 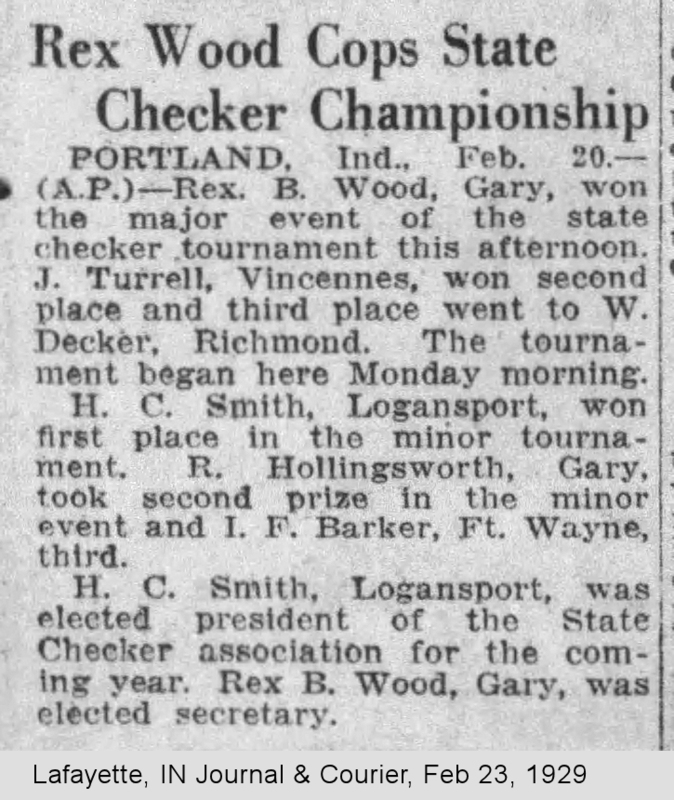 I'm indebted to Jay Hinnershitz for his fabulous Online Museum of Checkers History for information on these pages. Gary and Miller's Checker Experts - Walter Hellman and Rex Wood" on this website.